HP TET 2017 2018 Application Form: Himachal Pradesh Board of School Education has been declared the HP TET notification 2017. The applicants who are searching the Himachal Pradesh Teacher Eligibility Test 2017 can apply the HP TET exam 2017 on before the last date of the application. Candidates must refer the Himachal Pradesh TET advertisement 2017 before fill the HP TET application form 2017. Our Indrjobinfo.co.in website has provide the complete details regarding the Himachal Pradesh TET exam 2017. The aspirants who meet the eligibility criteria can apply the HP TET online registration through the official site hpbose.org. The date of the online application form starts form last week of Sep. Eligible candidates should apply the HP TET 2017 application form application form before the last date of the application on 1st week of Oct. The Government of Himachal Pradesh, Board of School Education has been conducted the HP TET exam 2017-18 on every year for the eligible aspirants. This year also many of the candidates are going to apply for HP Board Dharamshala TET 2017. Those can use the given link to apply the Himachal Pradesh TET application form 2017. Here we will published the HP TET exam date/syllabus 2017. Read the below article to get the complete information about the HP TET 2017. Suppose you have any doubt about the HP TET 2017 application form and then you will write the comment us. Our team member will reply your query very soon. 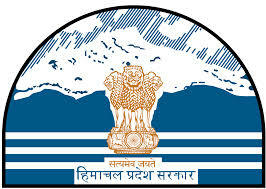 Name of Organization: Himachal Pradesh Board of School Education. Exam Name: HP TET 2017 Exam. Job Location: Himachal Pradesh (HP). Content Name: HP TET application form 2017. Age Limit: There is no upper age limit for HP TET application form 2017. TGT/Medical: Pass B.Sc (Medical)/B.Ed with minimum 50% marks from a recognized university or institute. TGT/Non Medical: Possess B.Sc (Non-Medical)/Bachelor in Education with at least 50% aggregate. TGT/Arts: Complete the BA/B.Com/B.Ed with minimum 50% marks from any recognized institute/university. Hindi Language Teacher: Pass B.A in Hindi/Diploma in Elementary Education. Shastri: Possess Shastri with minimum 50% marks from a recognized institution by Himachal Pradesh government. Urdu Language Teacher: Complete BA in Urdu/Diploma in Elementary Education. Punjabi Language Teacher: Pass BA in Punjabi/Diploma in Elementary Education. Junior Basic Training: Possess 12/HSC/Diploma in Elementary Education with minimum 50% marks. For general category candidate: Rs. 800/-. For SC/ST/OBC category candidate: Rs. 500/-. Aspirant selection in HP TET 2017 will be based on the performance in written examination. Open the official site www.hpbose.org. Check the eligibility criteria on Himachal Pradesh TET notification 2017. If you eligible and then click to apply the online application. Pay the payment of the application fee by online gateway method. Submit the application before verify the filled HP TET application form 2017. Himachal Pradesh Teacher Eligibility Test Notification 2017. Apply the HP TET Online Application 2017. HP Patwari Admit Card 2017-2018.